Wirelessly charge your Qi-enabled smartphone in-car with this wireless charging vent-mounted car holder. Securely position your device in either portrait or landscape all while enjoying convenient and efficient Qi wireless charging. I ordered this the other day and delivery was pretty quick. It can charge your mobile wirelessly (although they do recommend that you remove the case first). I haven't actually used it to charge my phone but it works really well to hold your phone snugly. Great product and easy to setup up and use. Well worth the money. 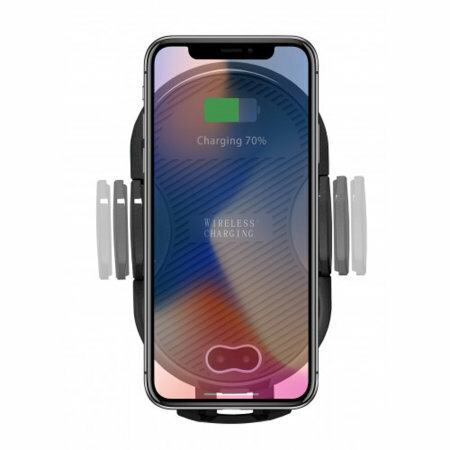 Designed for quick and intuitive charging, this universal Qi Wireless Charging Car Holder and Charger allows you to charge your Qi-compatible device without the mess of charging cables. The car holder uses Qi induction technology to charge your phone quickly and easily once it is placed into the holder. Simply place your compatible device within the holder and watch as it begins charging without having to connect any wires to the phone. 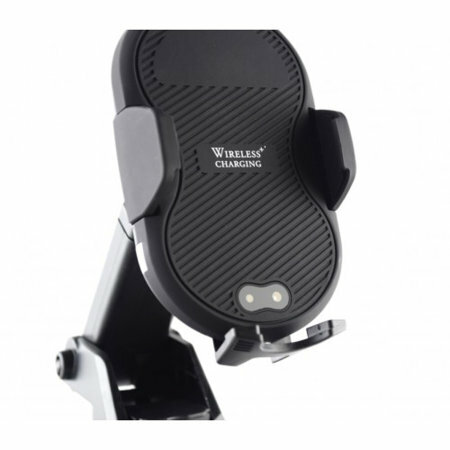 This wireless charging car holder fits any device up to an impressive 110mm wide - including devices with cases applied. This size easily accommodates devices such as the Samsung Galaxy Note 8, S8 and S8 Plus, iPhone 8 and 8 Plus and near enough any other wireless charging device conceivable. 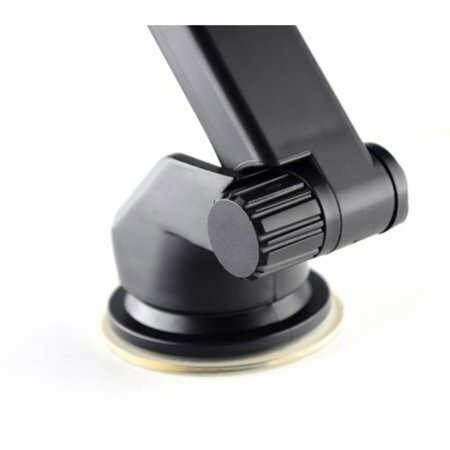 The adjustable design of this car holder allows you to position your handset on your car's vents in either vertical or horizontal positions for a more comfortable view of your handset while driving. 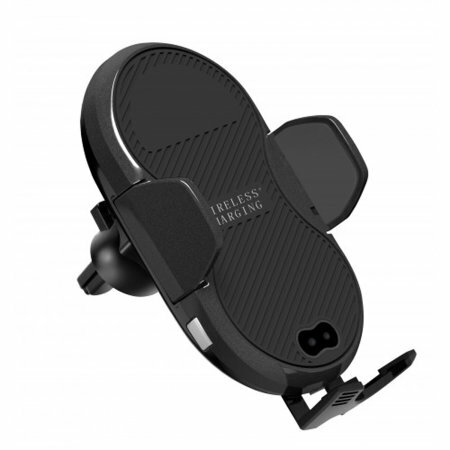 Designed to perfectly complement wireless charging devices, this car holder is designed to reflect the contemporary and sleek styling of modern smartphones.